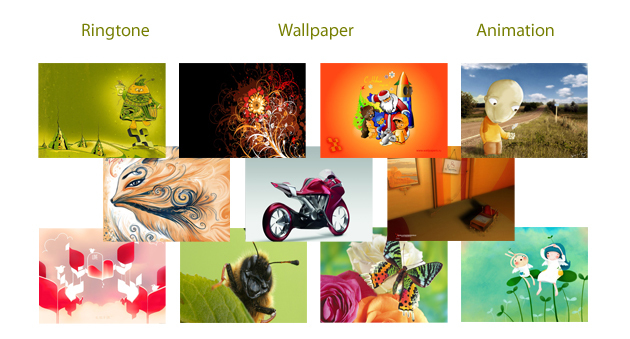 Graphics – Wallpapers, Animation, Themes, Color Logos etc. Games- 3D, Arcade, Racing, Action etc. Tones- True tone, Poly Tones, Mono Tones, CRBT, Sound effects etc. Video – Babes, Hollywood, Funny, VRBT, Religious, Spirituals etc. i2i Telesource provides a simple yet powerful messaging platform for managing various messaging needs of the media houses, operators and service providers. The core strength of our messaging platform is an easy integration with legacy/ futuristic systems of operators’ alongwith a single platform for all messaging needs. The platform can support multiple shortcodes, third party shortcodes, and multiple content sources to readily fit and work with any SDP/non-SDP platforms of telco's. It offers an online charging gateway system built-in which can provide charging integration with almost all operators billing systems. Pre-integrated with content management system. The single biggest opportunity to increase profit and enhance customer relationship for enterprise and service providers is here. A complete end to end service platform, allows the subscribers to enjoy voice based value added services. IVR is a technology that automates interactions with the system and telephone callers. IVR solutions are based upon pre-recorded voice prompts and menus to present information and options to callers, and touch-tone telephone keypad entry to gather responses. Imagine a scenario where users can download a song as a ringtone, set the same song as the Ring Back Tone, download screensavers related to the song, sing-along to that song and forward it to a friend, and get all content, formats and services related to the song in one place. Interesting, right? i2i Telesource Jukebox Solution allows telecom operators to offer all content variants related to that song. The solution allows operator to do cross-selling and up-selling among all music-related products by tracking user behavior and then offer services as per the user’s taste. Ample scope for cross-selling and up-selling among all music-related products since service providers can track user behavior and customize the offering accordingly. Improving the user experience by providing all services in one place, thereby increasing the RFM (recency, frequency and monetary value). Possibilities of introducing different kinds of subscription models. Increased revenue when user browses through the vast content repository. Higher success ratios for actual downloads due to the simplified experience. Higher usage since the service is not handset-dependant. Support for Multiple languages Multiple carrier technologies including GSM and CDMA. Access to a varied number of functions. IVR system can be accessed by dialing defined short code from any fixed or wireless phone. User can select his language preferences, listening to the IVR prompts and providing DTMF inputs accordingly. An IVR system welcomes the customer and navigates through the listed services and how to activate them. Customer can select the service by responding to the user friendly voice navigational prompts. Customers have the added convenience to skip from one service in the menu to another. In the race to capture share of mobile users’ hearts and wallets, operators have deployed mobile music solutions and enjoyed significant success. Among the varied portfolio of mobile music offerings, ring back tones have achieved killer application status with mobile subscribers in many markets worldwide. With ring back tones, subscribers replace the ring tone that callers normally hear with a personal choice of music or audio content - bringing a more enjoyable calling experience to their callers. Nobody else provides so much choice: The team of editors at i2i can provide more than 100 SMS info services and more than 30 MMS and WAP services. Every day, a team of 30 journalists, content and music experts, designers and developers professionally edits and prepares the top events from the worlds of sports, politics, business and showbiz gossip. State-of-the-art animations, videos, ring tones, mobile music download and games are a part of the standard package.